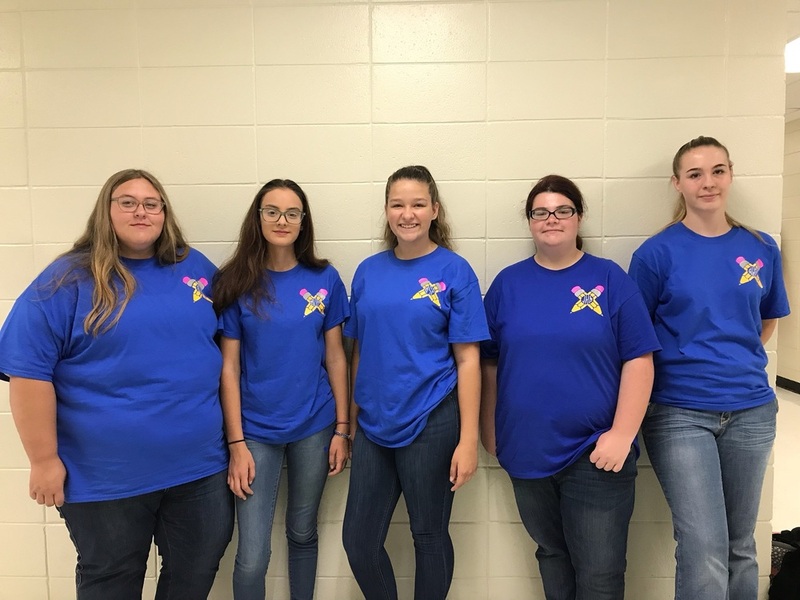 Five years ago the Magazine School District began its Education and Training Program with five students taking the Orientation to Teaching I class, and this year, there are again five students taking the class. The program is designed for students who think they might want to become teachers. Students in the program have the opportunity to go to the elementary to work under an elementary teacher once a week as a teacher apprentice. There they can tutor a student, read to the class, work with a small group, listen to students read to them, sing songs, and every once in a while, grade papers - basically, learn about the roles of a teacher through hands-on learning and observation. Before the end of the school year, they will actually teach lessons to their class on their own; of course, their mentor teacher will be standing by to help in any way. Wendi Walker, a junior in OT I this year says, “If you think you might want to be a teacher, take this class in high school. I get to work with pre-k students, and I enjoy being with them and learning new things at the same time.” After taking the required classes and at the conclusion of the Orientation to Teaching II class, these students can take the paraprofessional test, and if they pass, become a certified paraprofessional, allowing them to become an aide or work in a educational setting if they so choose. “We have some great elementary teachers who work with these students. They learn so much from them. This is a great program with lots of opportunities,” Mrs. Scharbor, the OT I instructor, stated.